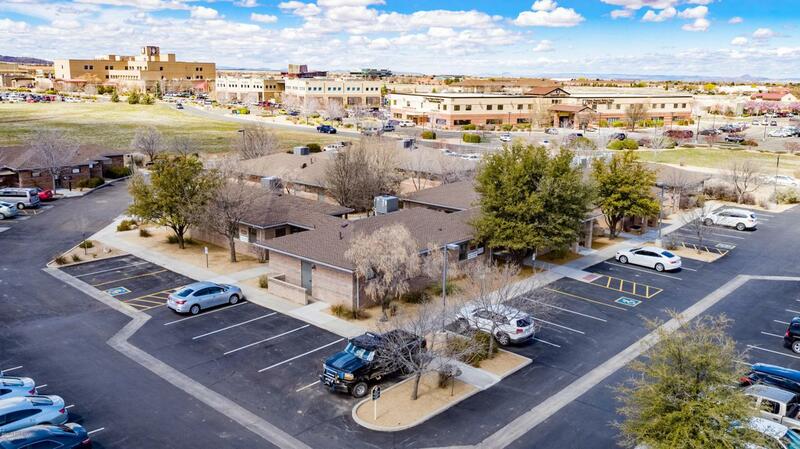 The Windsong Medical Park campus is centrally located in Prescott Valley and next ti the east entrance of Yavapai Regional Medical Center Campus. Beautiful and well maintained medical office complex with 2 office buildings available for lease - 3190, 3194 N Windsong are 1250 sq. ft. each, each with waiting, reception area, nurses station, 3 exam rooms with sings, consultation room, 2 restrooms, storage areas and sound system and each building has 2 exits. All buildings have dbl drywall walls and ceilings, solid core doors, sinks in each exam room,pella windows with internal privacy shades. Each building has access to the common outdoor patio area. Ample, shared parking throughout the campus.